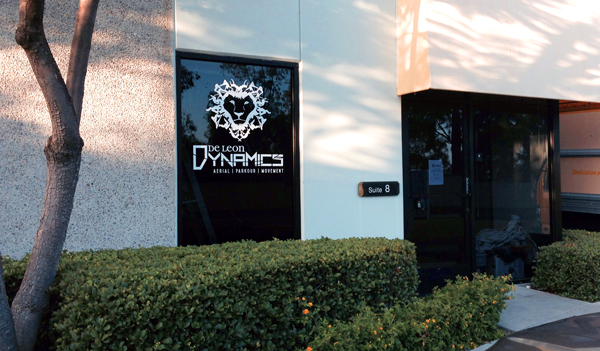 De Leon Dynamics is the hottest fitness facility in San Diego's north county inland area. 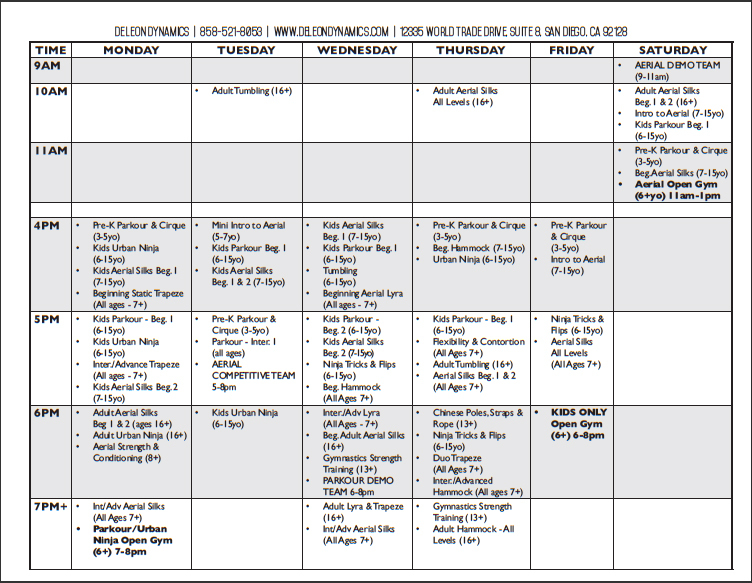 Easily accessible to Poway, 4S Ranch, Rancho Bernardo, Del Sur, Escondido, Rancho Penasquitos, and Scripps Ranch communities. Join our award-winning aerial students! Twenty (20) aerial rigging points on pulley systems with 20' ceiling height. - Hanging Chinese poles and more! Our dedicated parkour area is amazing. 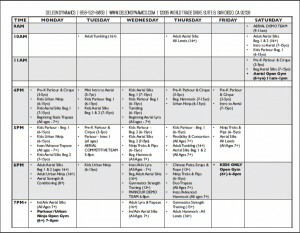 Come train for America Ninja Warrior! - Moveable obstacles - vault boxes and more! De Leon Dynamics has a gymnastics spring floor covered with 2" thick foam flooring. We have an air-conditioned viewing room with large windows that enable you to see the entire facility.